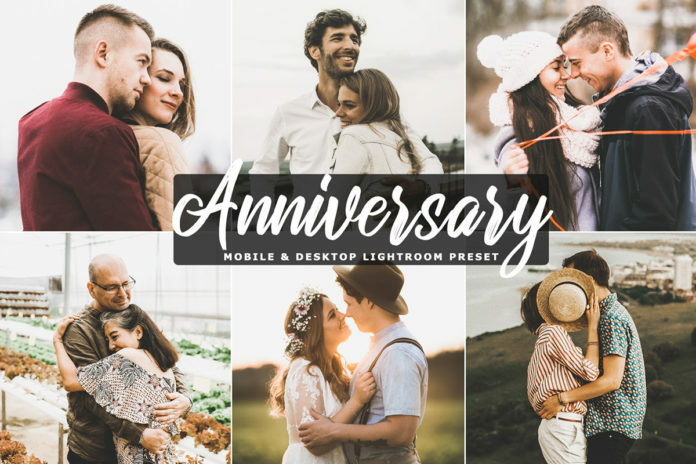 Free Anniversary Lightroom Preset comes in a single professional preset that will help you will create beautiful color tones and moody atmosphere in your photographs. You can enhance and speed up your workflow and to make your photographs stand out with this filter pack. This filter is design to look great with a wide variety of images. In many instances, you will be able to get a great result with a single click. These was specially designed for couple, family and senior photography, anniversary, outdoor, natural, portraits, fashion, fine art photography, fashion, portrait wedding, bloggers, influences, lifestyle photography, travel, vacation, food photography, and great choice for almost any kind of photography.